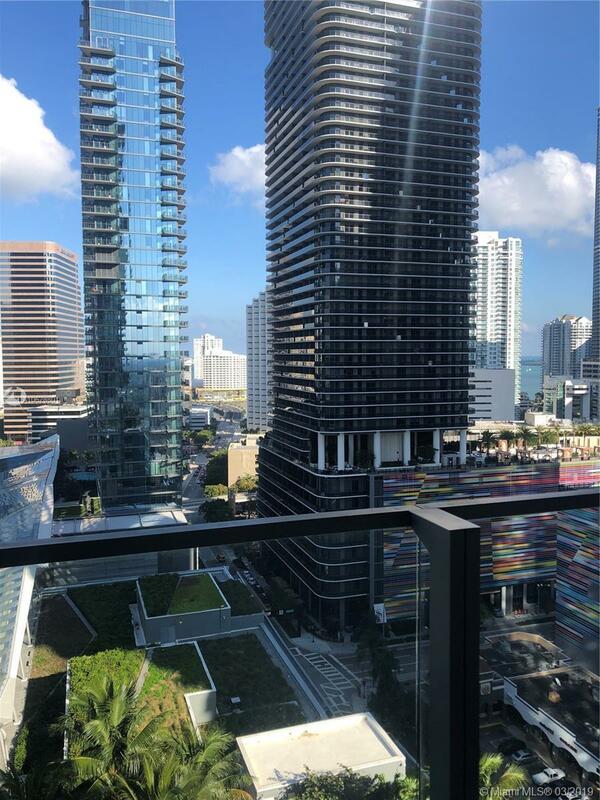 Gorgeous furnished condo with stunning east views of Brickell skyscrapers, Brickell City Center Shops, and Rise Pool. Flat screen TV in the living room. The building features an expansive, half-acre amenity deck which includes tropical gardens, barbecue grills, outdoor fitness areas, fitness center indoors, spa facilities, business center, and children's play area. Unit features floor-to-ceiling sliding glass doors, over-sized, fully finished walk-in closet, modern Italian cabinetry for both kitchen & bathrooms, stainless steel appliances, quartz countertops & backsplash, marble flooring! Cable, water, garbage, association fees included. ! parking spot included and free valet for guests. 6-month lease.